Choose between oil painting or pencil drawing and your preferred size. Based on the photos you sent us we will do our magic. Once we’ve completed the painting, we will mount the canvas over an inside frame and post it directly to your door. Voilà, here’s your fantastic pet portrait! 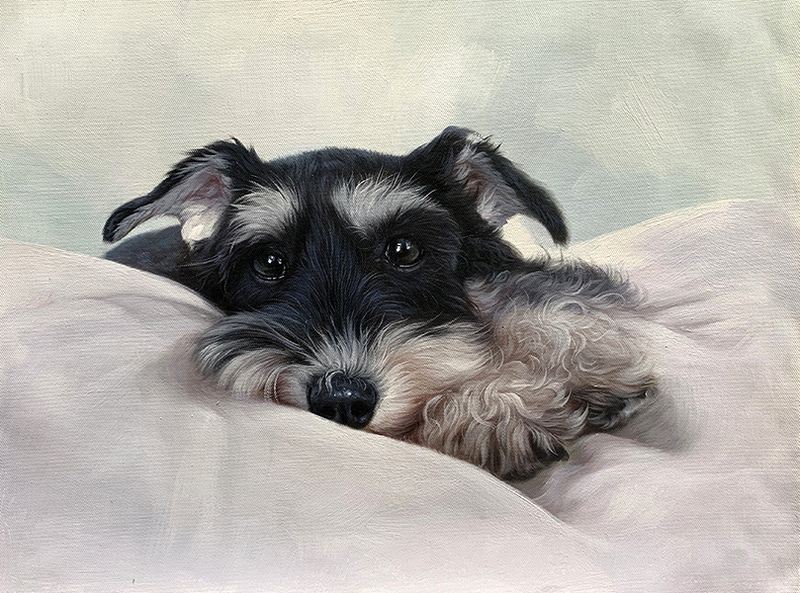 We commissioned a portrait of our late miniature schnauzer in late 2018. Even though the painting was created from only a photograph it captured entirely realistically and beautifully the kind and gentle nature of our little friend whom we miss dearly. It’s a lovely memory that we will cherish and could only recommend Sebastian and team to anyone who hoped for something similar. 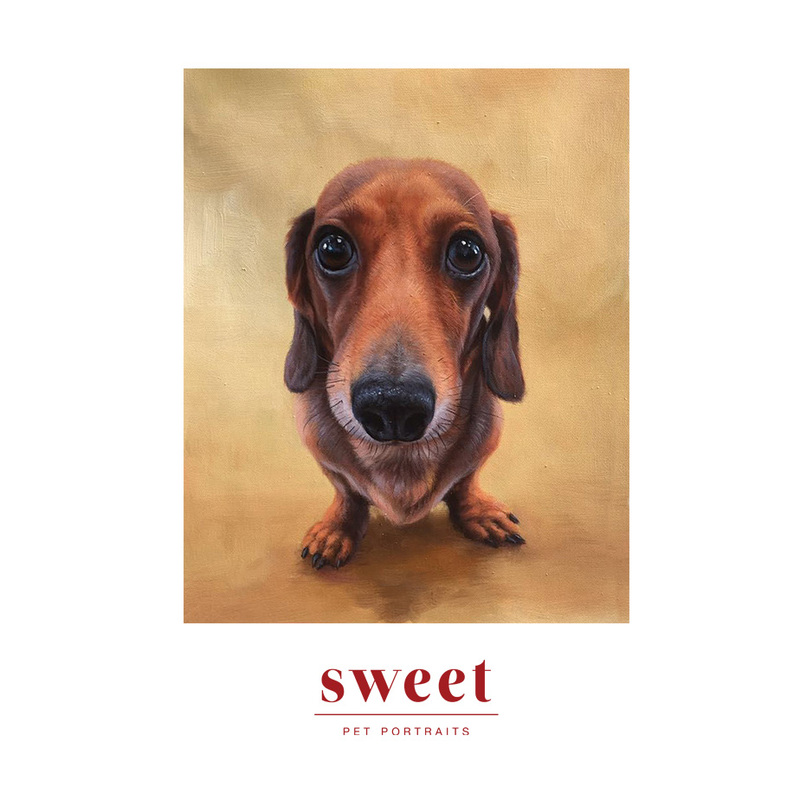 “I came across Sweet Pet Portraits online and when I browsed their fantastic gallery, I knew I had to get my pet painted. My pet was a hedgehog so I didn’t know if that was possible to paint… . However, I was assisted by Sebastian, who was very friendly, helpful and responsive. Shortly, just after a month, I received my painting and it was stunning. It looked exactly like the photograph I provided, except that it was beautifully painted. My favourite parts were in all the intricate details – the furry face, the fine whiskers, the kind eyes. The most impressive aspect by far was the gradual change of color in the spikes of the hedgehog which was so carefully done. 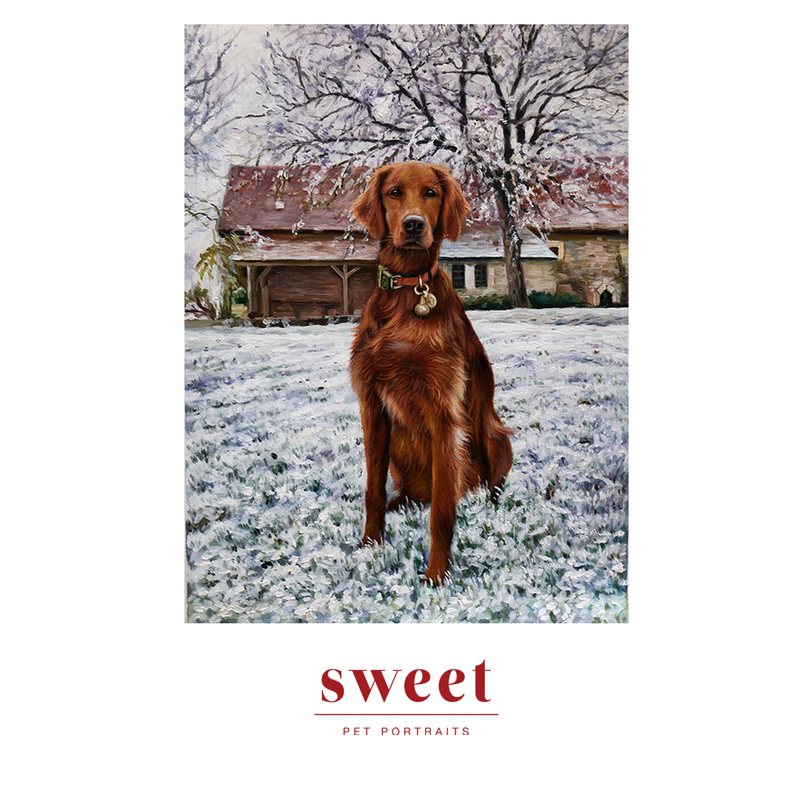 I would highly recommend Sweet Pet Portraits to all pet lovers who want to remember their pets in a special way! 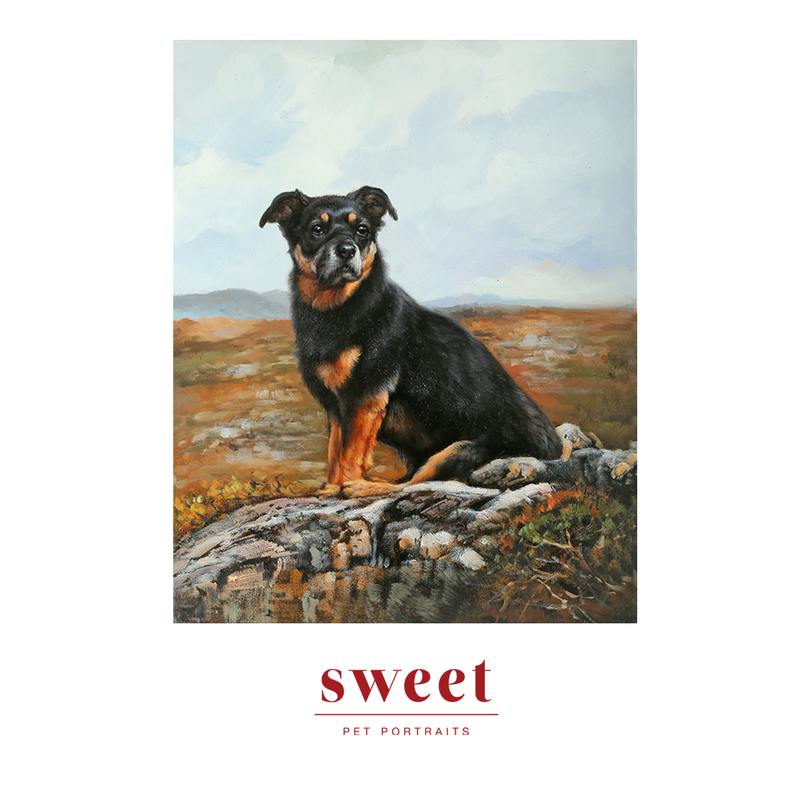 As a dog lover myself I have always wanted more than just some photographs of my animals… Imagine my delight when my wife presented me with a fantastic oil portrait of 4 of our dogs together with me in the centre of them!!! She had contacted Sebastian and gave him a colour photo of our dogs and myself that had been taken when we were out on our morning stroll. The result was fantastic! I cannot praise the artistry enough… The dogs looked great and even I looked pretty good too… So happiness all round. The portrait hangs in our family room and has a very special place in the room and my affections. I heartily recommend Sebastian’s service and his artist’s outstanding skills and talent. 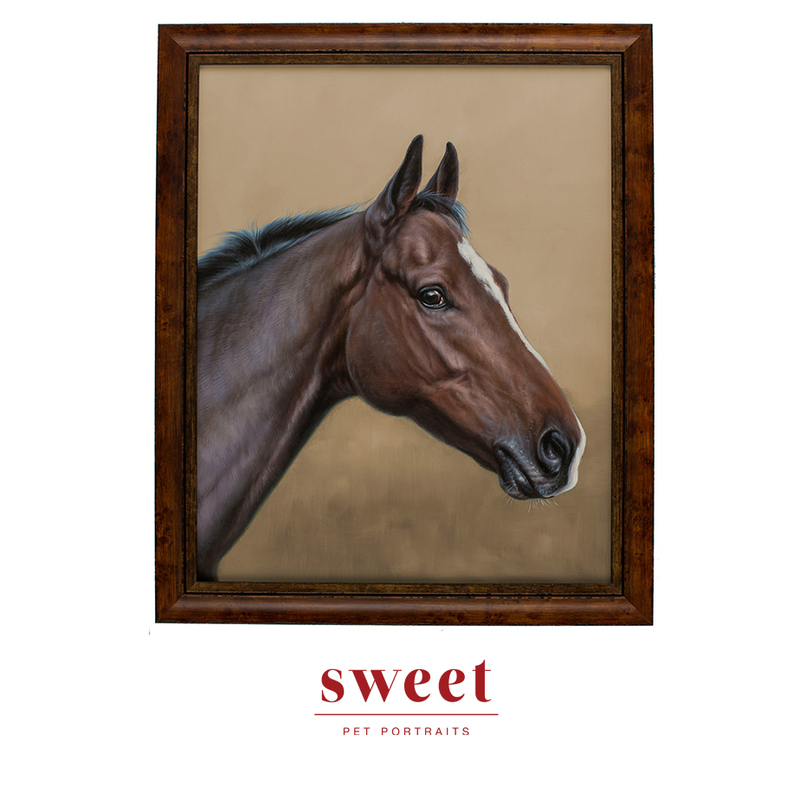 Sweet is a creative studio that offers pet portraits for pets of all kinds. Founded by Sebastian Lembke an award-winning Art Director, in partnership with Gabriella Lembke, a Digital entrepreneur, it was born out of a passion for art and animals. As an artist-driven studio based in Hong Kong, we collaborate with an exceptional team of painters to service animal lovers worldwide. We pride ourselves in delivering excellent, well-crafted pet portraits and contributing to building a better society for animals. 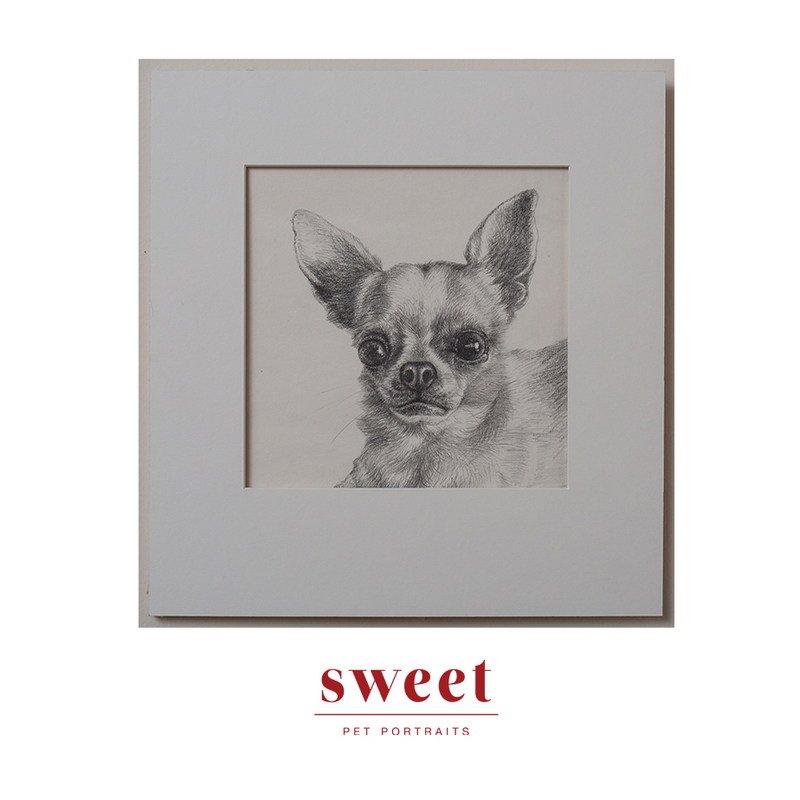 Growing up around animals in Sweden is what led to Sweet Pet Portraits. That’s why we apply the same amount of love and care to creating a masterpiece as we do to helping them. Here’s to a Sweet life for all. An art director with passion for animals. Our artists biggest joy is in painting animals. A digital entrepreneur who loves art and pets. Please send us your request via the contact form. We would like to know the medium and size of your desired portrait. After your submission we will get in touch and you will be able to send us the photos of your pet. Having trouble deciding what kind of portrait to order? Have a look in our gallery to see what previous customers have ordered. We have a splendid Frequently Asked Questions page, and there’s a good chance the answer to your question will be found there. Please have a look. If you still can’t find the answer to your question, please send us a message via the contact form. Thank you!